This is a Professional Casino Metal Toke Box with J Hook and Lock. 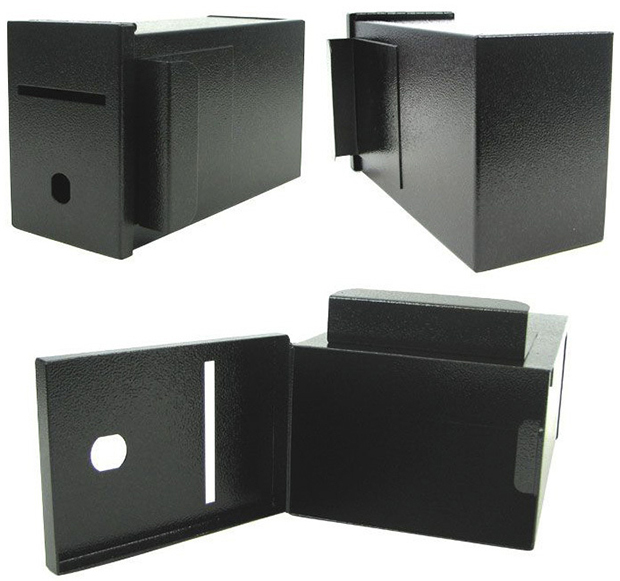 This professional black textured all metal toke box includes a security cam lock and key and features top access with a drop slot for depositing coins, chips or paper money. 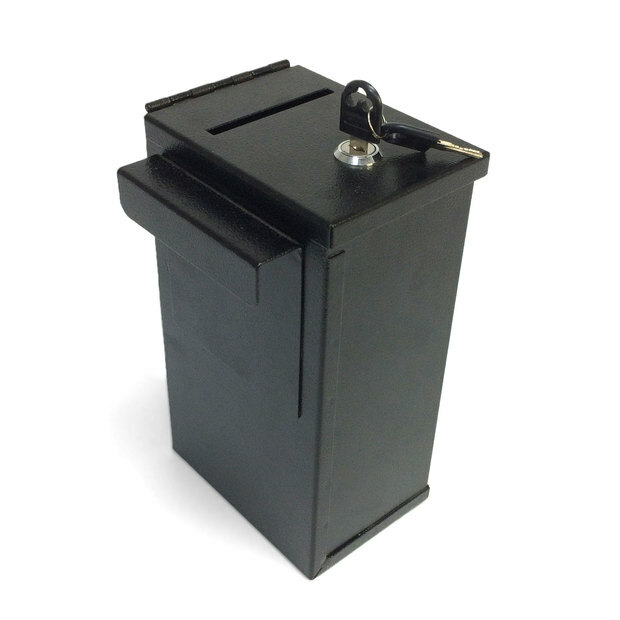 The toke box attaches easily to your table with the integrated welded solid J hook. In casinos, the toke box is often seen on the podium where the dealers collectively deposit their tips (tokes). It can also be carried or mounted on any type of casino game table where the dealer can expect to receive tips. All acrylic toke box is also available as item number 50-0017. Measures 9 inches by 5 1/4 inches by 4 inches.